With the release of PHP 5.5, we now have access to lots of enhancements, changes to object handling, new extensions, new functions and methods, OPCache, and much more. Join our team of presenters to learn, in depth, all about the newest PHP release and how to use these features effectively. BIO: Matthew Turland has been working with PHP since 2002. He has been both an author and technical editor for php[architect] Magazine, has spoken at multiple conferences, and is a past contributor to Zend Framework. He holds the PHP 5 and Zend Framework ZCE certifications and is the author of “php|architect’s Guide to Web Scraping with PHP” and co-author of SitePoint’s “PHP Master: Write Cutting-Edge Code”. In his spare time, he likes to bend PHP to his will to scrape web pages and run IRC bots. ABSTRACT: PHP 5.5 brings a number of new object-oriented features to the game. We will go in depth with the new generators, the finally keyword for exception handling, the new ::class feature, and more. ABSTRACT: Besides the specifically object-oriented features that have been added, lots of other new functions and extensions have been added as well. In this session, we will cover the new password hashing methods, new uses of empty, updates to how foreach works, dereferencing abilities, array_column, and more. BIO: Stas Malyshev has been developing Web software for almost two decades, and has been with the PHP project since year 2000. He has contributed to many parts of PHP core and PHP-related projects such as Zend Framework and Zend Server, and helped writing PHP certification exams. He is currently serving as a release manager for 5.4 branch of PHP and is working as a Software Architect for SugarCRM. ABSTRACT: Opcode caching is one of the most popular and efficient ways of improving performance of the PHP applications. With PHP 5.5, OpCache has been added to the PHP Core as the supported solution for opcode caching. This talk will explain how opcode caching works in general and outline some technical details and tradeoffs made in specific implementation of OpCache. It will provide the background for keeping your PHP applications performing. BIO: Ben Ramsey has been developing and designing software for fifteen years and has been writing and speaking about software development for ten of those years. 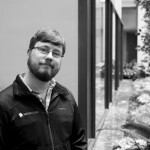 A passionate aficionado of web development, APIs, and craft beer, Ben is the Senior Software Architect at Moontoast, an organizer of the Nashville PHP user group, and a home brewer. cleaner, more stable, and easier to maintain codebases.